The Belizean fishing industry dates back to the time of the Maya when snappers and anchovies were the most important food from the sea. The modern fishing industry in Belize revolves around the capture of lobster and conch and to a lesser extent finfish such as snappers and groupers. The Aquaculture sector grows Pacific White Shrimp primarily although the country has the capacity to grow tilapia. Belize has regulated its lobster industry by implementing a closed season which lasts from February 15 to June 14. During this time, it is illegal to catch, sell or be in possession of lobster meat. Annually about 500,000 pounds of lobster are exported, primarily to the United States. The average price per pound of lobster hovers around $ 16 US. Between 2009 and 2011 the earnings from lobster increased from $13.0 million to $17.7 million. Conch is the second most valuable fishery in Belize. Annually, between 600,000 and 900,000 pounds of conch are exported. Price per pound is around $5 US. The open season for conch is between the dates of October 1st to June 30th. A pound of conch on the international market fetches close to $5 US. Shrimp trawling is another economic activity that has been carried out in Belize. Recently this subsector has been inactive due to low shrimp prices and high costs of fuel. Shrimp trawling was made illegal by the government of Belize in 2011. Belize also exports a limited amount of whole fish or fish fillet which earns between $2 million and $2.5 million annually. Aquaculture in Belize was started soon after Independence when finances of the country were scarce due to the cost of gaining independence. Aquaculture was seen as an industry with a lot of potential for diversifying the economy of Belize. The aquaculture industry in Belize is largely based on the culture of Pacific White shrimp which were brought to Belize from Ecuador as early as 1982. The industry grew slowly and by 1988 there were four shrimp farms operating in Belize. Combined, these farms earned just short of $250,000 in export earnings for Belize. In 2003, twelve farms were operating and earned over $92 million dollars in export revenue. Most of the shrimp farms in Belize are located in the southern half of the country. Four of these are near to Dangriga Town. Six farms are situated between Riversdale and Monkey River area. Outside of southern Belize, there is one farm still operating in the Ladyville area. 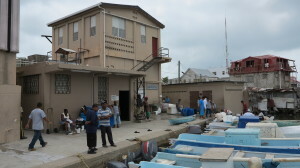 Between 2003 and 2008, the shrimp market contracted severely and a number of companies were forced out of the business. 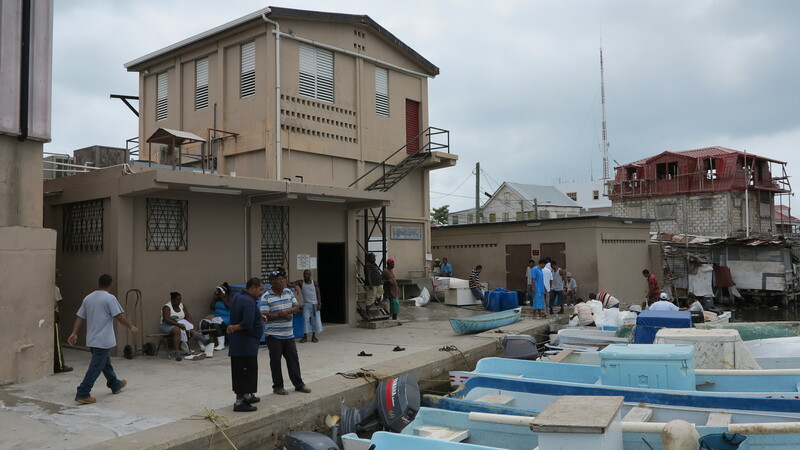 This cutback in the industry included Nova Shrimp Farm in the Belize District and Belize Aquaculture Ltd which stopped operations temporarily. Because of higher shrimp prices from late 2011, the shrimp industry rebounded and a number of the farms are expanding in 2013. 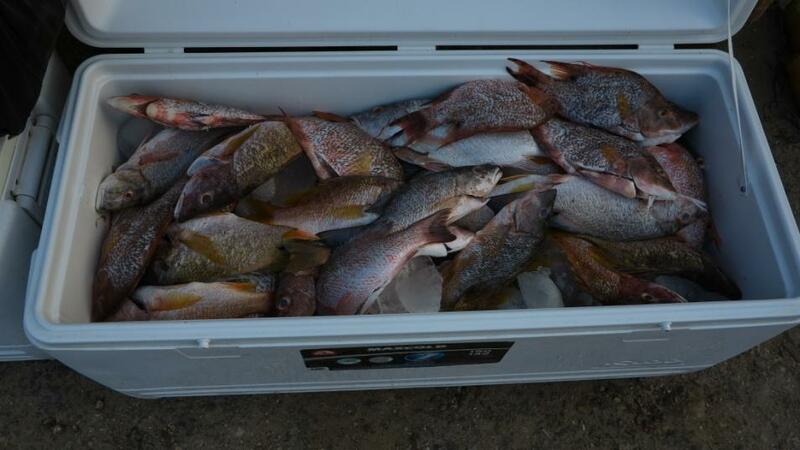 Apart from shrimp, another aquaculture product offered by Belizean farmers is tilapia. 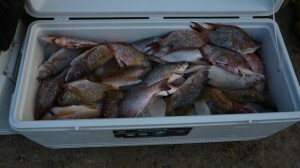 Tilapia is grown in freshwater at a number of locations in the country. The most notable tilapia farm is located on the banks of the Sibun River near to the village of La Democracia on the Western Highway. The name of this farm is Nature Fresh Ltd. This farm was started in 2004 and is classified as a super intensive tilapia farm. In 2007, investors from Norway introduced offshore culturing of a type of fish called Cobia to Belize. The facilities are located at Robinson’s Point south of Belize City. Infrastructure used in this business includes large circular cages which are stocked with the finfish. The fish are fed a diet of high protein feed before harvesting is done after eight months growth.